Discerning business professionals who use conference calls to conduct their important, everyday remote meetings - enterprises, SMBs, legal firms, marketing, financial and other professional services. 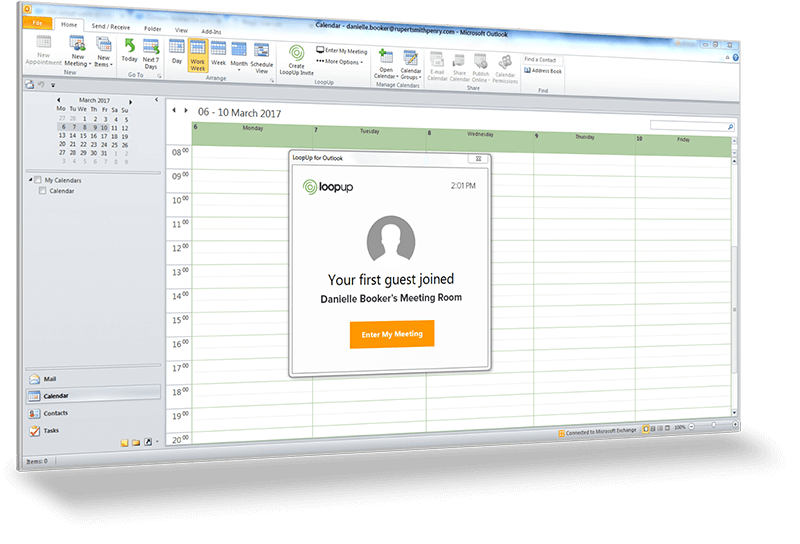 LoopUp is a premium conference call solution that makes it easy to host high-quality remote meetings, while providing the security necessary for enterprise users. No training required. 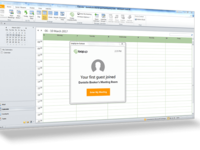 More than 2,000 business around the world trust LoopUp with their important remote meetings from day-to-day conference calls to high-visibility events. Clients include Travelex, Kia Motors America, Clifford Chance, National Geographic and BMJ. We assist our customer base from 17 locations across the world. Pros: Loopup is useful for gathering people all in one place at one time. Call quality is solid and viewing a screenshare does not require an additional program to download and install, unlike Skype etc. Names can be defined when dropping in via the weblink so it is clear to see who is on the call. The ability to directly mute noisy people on the call is also a plus. Cons: Sometimes kicking off a loopup call or joining a loopup call can take a while, potentially due to server load. Also, screen sharing can occasionally drop out without notification so if you haven't seen the green box around the primary display disappear you could be talking for a while without realizing it has stopped. Overall: Loopup gives us the ability to collaborate with other businesses globally and share screens to aid in discussion. It frequently provides better call quality than the competition or direct phone. I happily recommend loopup to colleagues in other industries. 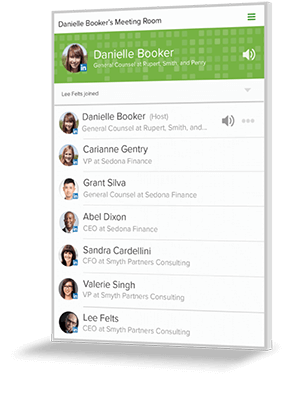 Pros: Loopup is very easy to setup and allows the options of voice only calls or Desktop Sharing. Installation is simple and gives the option to use only a dial in, web browser or an app from your smart phone! It is intuitive and has great sound quality/performance. Cons: Overall it is a great solution. The team is ready to support any questions and work through issues as needed. It does the job! Overall: We needed a conference solution for our company that offered the needed functionality at a more competitive price. The ease of use and ability to add on as needed made it convenient for us as a company to use this as a solution. LoopUp worked with us a partner and built out a solution to fit our needs. I can connect to my meeting in mater of minutes, through laptop or cellphone. I can dial through my desk phone or direct a call on my cellphone. Setting up a meeting with my counterparts from other part of the world has become so easy, just need the loopup details. Cons: The option through which you can mute the attendees of a meeting. At times it works and at times it doesn't . But I believe it's really good feature - if it can be made more accurate it can do wonders, especially on call where there are many attendees. Overall: Along side being a consultant, i am even a corporate trainer. Loopup has made my life easy, i can truly rely on LoopUp to set up my training sessions. 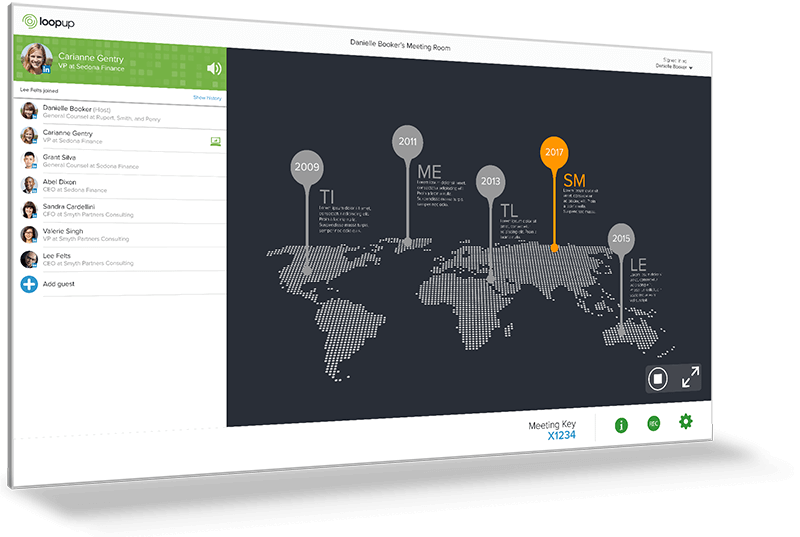 Pros: Its easy to use as a collaboration tool for meetings and presentation screen sharing. Cons: software updates for screen sharing, the timing for these updates are usually during a meeting. Id like an email notification in order to perform these updates prior to a meeting so that the meeting attendees don't have to wait while i update the software. Overall: Overall its easy to use and pretty seemless, there are times when sharing the screen becomes troublesome. Pros: Ease of use. Standardization of the call times and numbers helps to set a pattern of weekly communication that is beneficial to all of our sales team . And, leads to the change to say to rep A, " please stay on the line after the meeting for further input "...etc... I like it. Overall: We have a weekly sales meeting with all of the sales reps throughout the Hawaiian islands. We use Loopup. It enables us to discuss the latest trends in the freight industry and how to best address them. With having input all at the same time, the differing perspectives are then worked on collectively. We also have a quarterly meeting with our sales team on the mainland. Since our market is primarily the Hawaii and W. coast region the feedback has been very positive. Pros: Easy to use even for outside users. I can send a link to outside users and I do not need to give them an explanation on how to use the service. Cons: The call quality is not always great, you can hear some background noises if there are many people on a call. Cons: The music that you have to put on mute each time you are the only person on a call can be annoying and sometimes it takes a few clicks for the system to see you are asking to mute it. Overall: We can setup conference lines for meetings, web training, and basic conference calls. You can add many users with custom numbers to prevent over using one line. Pros: It is very easy to use and it do not require any of the participants to install any software. Cons: The screen sharing resolution is not top notch. Overall: I use it daily. It is easy to use, I never get any questions on how to use it, simply: It works as expected without hassle. Pros: It is SO easy to use - especially with the outlook Extension - it autofills right into the invite! Cons: I haven't run into too many glitches except for a few bugs getting it added to Outlook the first time. 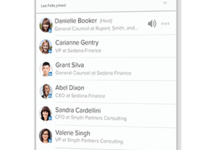 Overall: LoopUp makes it super easy to have a conference call. The directions and platform are straightforward, its easy to incorporate into an invite, and we've never had issues with dropped lines, etc. Pros: It is easy to dial in, you are able to see who has joined your conference and screen share is very easy to use and navigate. It is also helpful when logged on to see who is speaking on screen. Cons: I have experienced some lag time when trying to type in the phone number I would like for LoopUp to call me at to connect to a call. The screen sometimes freezes. Pros: It is a great service for the conference call, like notes, video, and presentation to share desktop. Cons: The room key is not user friendly. If I call in the conference by desk phone, then login into the website, I need to ask the owner the room key. It is better to assign a dedicate room key to the host, then everyone will know this room key automatically. Pros: The ability to connect your in-office, in-house employees with those on the go and joining from home. Whatever your location, you can easily be part of the conversation. Cons: Most of the time, the speakers aren`t aware someone else is speaking - it wouldn`t be a bad idea to have a moderator, and for folks to "ask to speak" via pinging or similar. Overall: I think this is a great tool for both small businesses and large corporations. Heartily recommend! 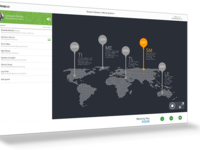 Pros: It is very easy to use, reliable and allows functionality that competitors lack. Cons: Default options for my main meeting room had screen sharing disabled and it took me a long time to figure out how to enable. Pros: Best part about LoopUp is being able to set up multiple meeting rooms. Cons: It can be difficult to quickly send across a dial-in for impromptu meetings. Pros: The ease of use with Loop Up is amazing. So simple yet has many additional options that can utilized for bringing teammates, clients, etc together. Pros: It's easy to dial in and see who's on the line. Cons: Often, the call gets dropped half-way. It's not easy to tell why. Pros: It's so fast and easy to join a call because the software only requires clicking a link to join. No more dialing long strings of numbers to enter a call. It's also nice to see who's on the call which saves a lot of time. Cons: If not at a computer, there's really no advantage to using loopup. 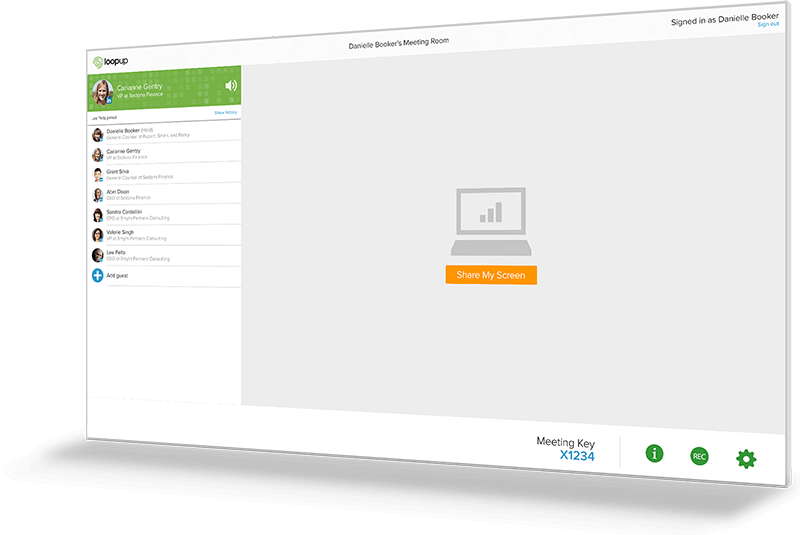 If hosting a call by dialing in, it can be hard to locate your host number. Pros: You are able to see presentations from your phone and interact from your mobile device. Cons: Frequency of asking password, when you are the host. Overall: I really enjoy loopUp, it allows me to see who is on the call and who has dropped instantly. Pros: I can't stand when callers aren't on mute. You can mute them yourself from the control panel. Easy! Cons: We haven't experienced any negative issues so far using this software. Pros: Ease of use mainly - good quality calls as well which is nice especially when communicating across the world. Pros: The conferencing call service and functionality when launched from the mobile phone app is great. Cons: Functionality and getting into a meeting when not launching from the mobile phone app is much more clunky. From a screen-share and associated tools perspective LoopUp functionality is limited compared to the system I previously used (GoTo Meeting) which offered mark-up's of the screen-share and recording (audio & video) if needed. Overall: Great functionality when driven by the app over other systems. Has some missing functionality compared to other systems. 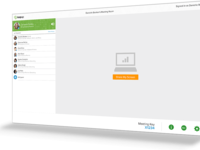 LoopUp works well as a conference call and online meeting solution. Pros: I like the ability to share screens easily and seamless way of bringing in participants from multiple geographies. Cons: Need to make sure that you login or join as the meeting organizer, otherwise the meeting will not be propted to start. Overall: Easy organizing of conference calls and associated screen sharing. Pros: Super easy to navigate and joining meetings at just the click of a button is fantastic! Cons: Only used once, so nothing yet that I've come across. Overall: Joined an outside vendor for a meeting and it was great. Hope to use this program more in the future.